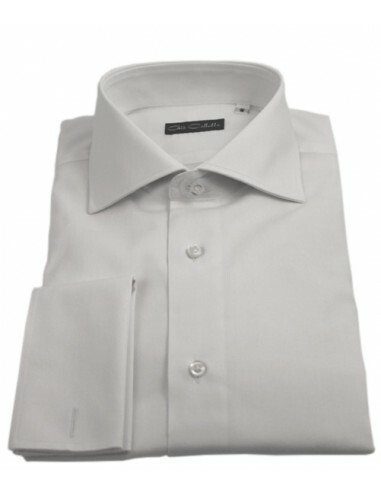 Made of pure Pin Point cotton, this shirt is characterized by its double cuff and a placket without front seams, details that give it a touch of elegance. The fabric that is literally defined as "pin point", derives from the Oxford one and presents a texture that seems to be formed by many pins. The fabric is appreciated by a large number of men and has a very recognizable weave with a "dotted" effect. 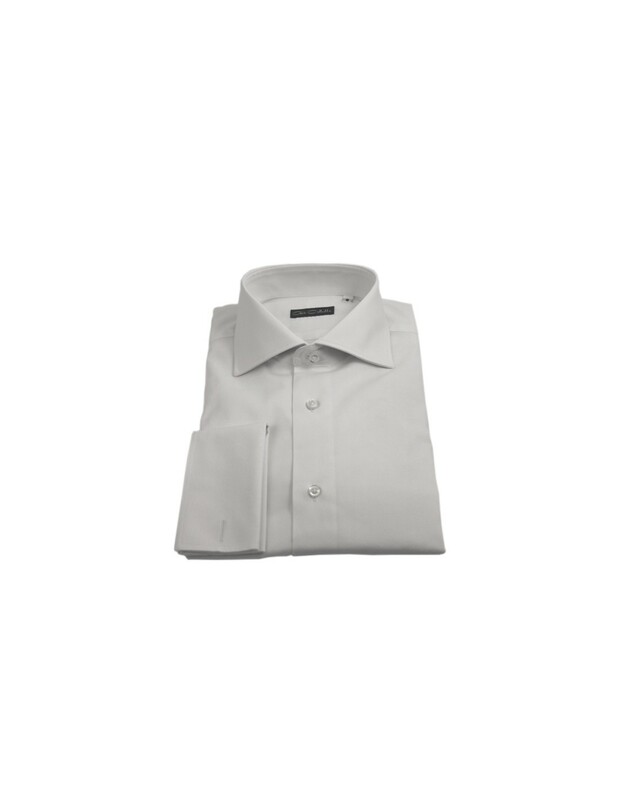 In an era in which versatility is also demanded in clothing, this shirt can be worn informally, with a pair of colored jeans and cufflinks. The shirt is in french collar. The back is smooth.